Kids LOVE this class! 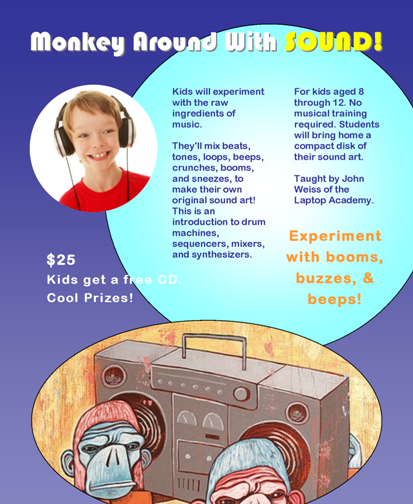 They will experiment with all sorts of sound generators, drum machines, synthesizers– they’ll even sing into the computer while Froggy lip-syncs to their words! Kids will get hands-on experience with rhythm, melody, timbre, music notation, and acoustics. No musical training required. Single session. May be repeated.